Safe, responsible hunters will use extra care to avoid accidents on the water. Drownings happen on lakes, rivers, and ponds each year, especially during hunting season. When boats are used while duck hunting at Lake Lanier, help can be far away. Hunters must rely upon themselves or companions to prevent or deal with the two major threats on or around water – drowning and hypothermia. Hunters often dress in heavy insulated clothes to stay warm this time of year. This type of clothing can fill with water and weigh you down if you fall in. To avoid drowning, wear a PFD or Coast Guard-approved float coat at all times. When hunters leave for a day on the water, they seldom expect to find themselves in the water. But if they do and they are not wearing a life jacket, they increase their chances of becoming a statistic. Be sure when you hunt waterfowl this season to wear your PFD and dress warmly. Follow all water safety and hunting safety rules so that you can enjoy the lake. 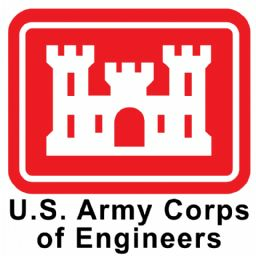 If you have questions regarding water or hunting safety, please contact the Corps of Engineers Project Management Office at 770-945-9531.